The 2014 Rookie of The Year battle will be a close one, going down…oh, who are we kidding. Daytona 500 pole? Yeah, you’re doing it right. 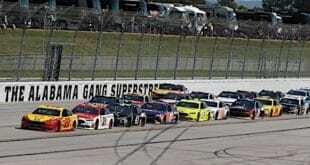 In 2006, eight different drivers declared for Rookie of the Year honors in the NASCAR Sprint Cup Series, providing the sport with an exceedingly deep field of new drivers that could conceivably create a sort-of new guard within the circuit — an “out with the old, in with the new” mentality. 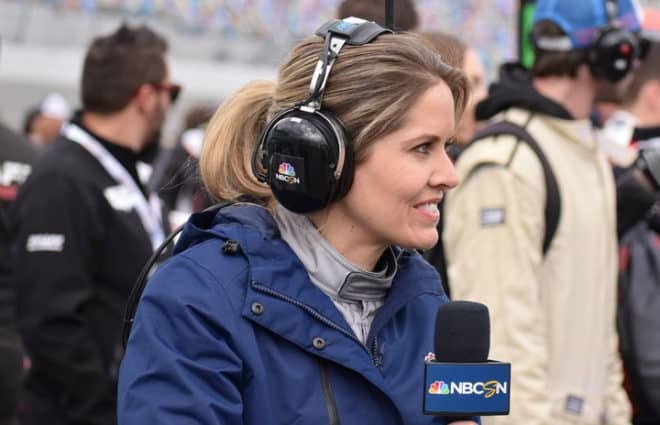 In the eight years since, the series has struggled to pump new blood into the sport, with the occasional rookie sticking around while many of his or her acquaintances fell by the wayside, either slotting into lower series or falling out of NASCAR completely. It’s too early to tell what fate will befall the rookie class of 2014, but it’s not hard to think of this year’s crop as something akin to 2006’s group. It’s another eight-driver affair going in, with the entire roster at least attempting this weekend’s Daytona 500. Two have managed rides with fairly formidable organizations, while others, though more unproven on varying levels, aren’t exactly pushovers either. Still, the benefit these drivers hold entering 2014 stems from the varying amounts of experience each does have in the lower NASCAR series. 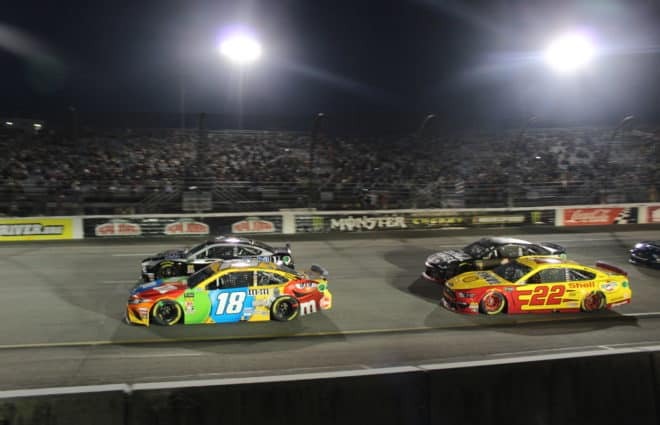 While it’s troubling to some that many of the tracks visited on each national touring series circuit are one and the same, that familiarity makes jumping to Cup less daunting and creates able comparisons considering what each driver has accomplished in the past. The following is a ranking of each rookie contender for the 2014 season, based on past accomplishments in NASCAR — and coupled, of course, with analyses based on the teams for which they’re driving, because it’d be silly to discount that factor. Who’s most likely to become your new rookie champion? Who’s going to struggle to even make races this year? See below. No-brainer? Basically. Even counting out Dillon’s pole-winning performance for the Daytona 500 last Sunday, the new driver of the No. 3 is the unopposed favorite for the rookie title. He’s won championships in both the Nationwide and Camping World Truck series, a chief indicator of adequacy, at the very least. If he hadn’t won those titles… OK, who are we kidding, he’d be at the top of the heap anyway. That’s not just because of his ride with Richard Childress Racing, either. In the last two Nationwide seasons, Dillon rattled off over 20 top-10 finishes — 49 in 66 races. Wins weren’t super plentiful, but the guy proved he can finish up front fairly consistently — and as far as average finish goes, he was better than Ricky Stenhouse, Jr. in his two full-time seasons in the series, and Stenhouse was altogether solid in his rookie season last year; he would have been good enough to win Rookie of the Year most seasons, not just in 2013. If Dillon struggles, it’ll be a major surprise. Should this ranking have been chosen solely on past results — particularly in the Nationwide Series — Larson might’ve dropped a bit. After all, though his potential has been highly touted, he didn’t set the world on fire during his first Nationwide season, managing nine top fives and 17 top 10s while scoring a victory in one of his lone Camping World Truck Series races. For the 21-year-old, it’s all about the consistency. He didn’t finish outside the top 10 in an eight-race string toward the beginning of last season and rarely finished outside the top 30 during its middle. Plus, what really sets him ahead of his successor in this ranking, Justin Allgaier? Chip Ganassi’s No. 42 team doesn’t have a horrible track record. It won’t be a year like Dillon’s, but Larson will make his presence known. Kyle Larson’s strongest suit may prove to be resiliancy. After this harrowing wreck at the end of last year’s Nationwide opener, he rebounded with a win the Truck Series at Rockingham, and runner up to Kyle Busch at Bristol. Here’s a guy who has a lot of numbers to crunch; he’s been toiling in the Nationwide Series since 2009, making this maiden Cup season all the sweeter. Allgaier’s slowly improved throughout his NASCAR career, even without a win in 2013 — the first time that had happened since his rookie year. He’s shown an astonishing amount of consistency, too, slotting into an average finish between 11.2 and 12.0 each of the last four years. Allgaier’s downside, aside from his ride with one of the C-level organizations in HScott Motorsports, is his age; he’s 27 and just now making it to Cup. He’s also never topped eight top-five finishes in a season, making it tough to argue he’ll up future potential with a slightly underfunded operation. He might end up a solid Cupper eventually, if given the patience to get there. However, his upside has dwindled over the past few years, hurting his ranking a bit. Like Allgaier, it looked for the longest time like Kligerman might never make it to the Cup level. After rising quickly with Penske Racing at the beginning of his career, he dropped back to the Truck Series and struggled to make a major impact. 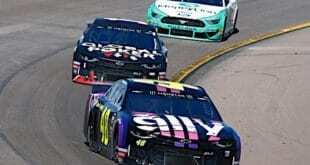 In his first full Nationwide season, Kligerman managed a decent showing, hitting the top 10 13 times. It’s his Cup results last season — a 21.5 average finish in two starts — that’s encouraging, especially given that it came from one of the sport’s smaller organizations in Swan Racing. He has an edge on teammate Cole Whitt due to driving the team’s flagship No. 30 and some definite promise in Nationwide last season. He’ll at least make it through 2014 with his job intact. Toss Whitt in just behind his Swan teammate. His prestige might have been more plentiful if this jump to Cup took place a few years ago, while he was still running for JR Motorsports. But last year, he only managed a part-time run, competing in 15 races for TriStar Motorsports. What makes him stand out a bit? The dude got four top-10 finishes in the super middling equipment of TriStar, something Mike Bliss hasn’t even pulled off with that organization. Couple that with a decent amount of experience — he ran seven Cup races last year — and Whitt will end up towards the middle of the rookie standings. Sorry to make another Allgaier comparison, but like the former Turner Scott competitor, Annett was a somewhat-promising prospect in the Nationwide Series for the longest time, with five full seasons spent driving for a combination of teams. He’ll be driving for Tommy Baldwin Racing, a team that is admittedly more proven than BK Racing and Swan Racing. What knocks Annett down a few pegs is his tepid results in 2013, though he was injured for eight races and didn’t get his 2012 mojo back — during which he rattled off 17 top 10s. If Annett can return to that level, he’ll be able to pull himself out of the bottom of the barrel. After missing several races from a broken sternum suffered in the Nationwide opener at Daytona last year, Micheal Annett has moved up to Cup in Tommy Baldwin’s No. 7 Pilot/Flying-J Chevrolets. Ah, BK Racing. Poor BK Racing. 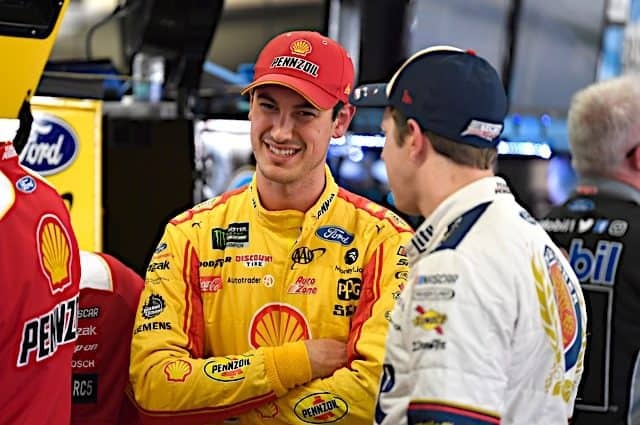 While it’s commendable that the team went with two unproven drivers rather than rehashing old talent in Travis Kvapil and David Reutimann, early indications are that Truex and teammate Alex Bowman are going to have a rough year ahead of them. 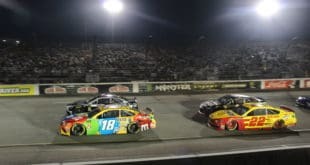 Truex pops ahead of his teammate due to his hot results in the past; though never putting together a full-time campaign, he’s put together good runs with Joe Gibbs Racing and RAB Racing in the series. His 2013 was bereft of very many starts — three in Cup, one in the Truck Series — so he might be a bit rusty. Stay tuned. Of the 2014 rookie class, Bowman is certainly the most unproven and untested. 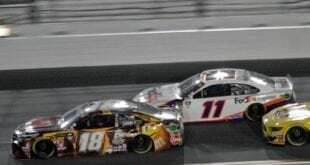 After a limited campaign in the Nationwide Series, in 2012, he jumped to the circuit full-time in 2013 with RAB Racing. Once settled, he rattled off some solid finishes — and two poles — but a mere 16.5 average finish. 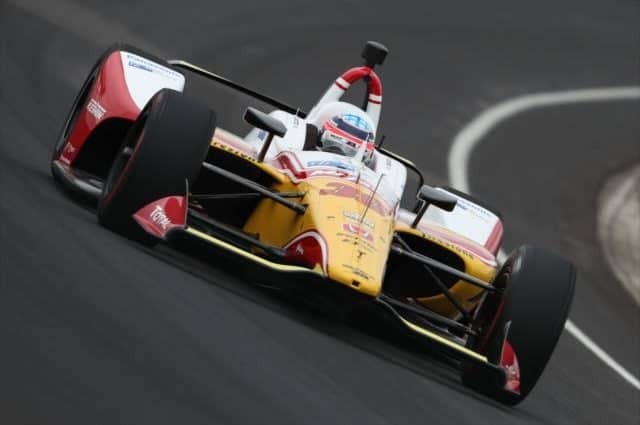 Bowman would have benefited from another season in the series, but that time’s past; he’ll be looking to flourish in a place for which he has no experience driving and at tracks he’s barely seen more than a few times.